Two currently popular strands of genre filmmaking, the low-budget sci-fier and the found-footage thriller, merge to reasonably plausible and impressively controlled effect in “Europa Report.” Meticulously crafted by Ecuadorian helmer Sebastian Cordero and his team, this futuristic tale of astronauts searching for signs of life near Jupiter was ostensibly shot using cameras positioned aboard their spacecraft; their video diaries have been cannily reassembled into something coherent and genuinely compelling on their own low-key terms, if a touch over-earnest at times. Commercially, Magnet’s Aug. 2 release may fall into that unfortunate audience vacuum in which genre trappings and arthouse cool cancel each other out, though its methodical, science-positive approach stands to be appreciated by the curious and discerning. It spoils nothing to note that the mission documented here does not end particularly well, as one might expect from a speculative dramatic thriller following a small crew of space explorers into uncharted territory. 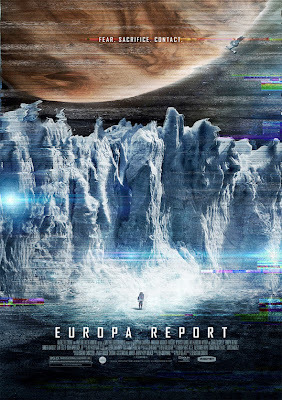 Yet “Europa Report” refreshingly avoids the usual sci-fi hack-’em-up conventions, not least because the astronauts in question, rather than coming off as another stereotypical bunch of wiseacres, instead have been conceived as quietly intelligent, dedicated individuals with (gasp) an actual aptitude for science. Rather than falling victim to yet another race of bloodthirsty extraterrestrials (a la 2012′s “Prometheus” and last month’s Cannes-preemed “The Last Days on Mars”), they encounter perils of a far more persuasive and unsettling nature. Set in a post-NASA future when space travel has become a matter of private enterprise, the film concerns the Europa One, a $3.7 billion manned spaceship sent to explore the surface of Jupiter’s moon Europa. (The premise was inspired by the November 2011 discovery of lakes beneath Europa’s frozen surface.) Philip Gelatt’s screenplay adopts a polished faux docu format: Almost every scene is presented as footage transmitted from the ship’s maiden voyage, spliced together with commentary from an on-the-ground commander (Embeth Davidtz), who gravely recalls the moment, about seven months into the mission, when the video feed suddenly went dark. Spliced by a team of editors into a somewhat achronological but easy-to-follow narrative, the onboard footage reveals how, having lost contact with Earth, the astronauts soldiered on toward Europa, led by mission chief William Xu (Daniel Wu) and navigated by pilot/archivist Rosa Dasque (Anamaria Marinca). The most laid-back member of this otherwise sober, hard-working crew is chief science officer Daniel Luxembourg (Sharlto Copley), who, shooting video on his own handheld camera, eases us into the wonder and the monotony of deep space. The sense of immersion in the ship’s mundane rhythms isn’t the only passing reminder of “2001: A Space Odyssey”; listen closely for a quick snippet of “The Blue Danube” in an early scene. What overtakes these explorers before and after they land on Europa is fairly simple, even banal, which is partly why it seems so convincing; almost without fail, the crew’s setbacks are rooted in technical malfunctions and human miscalculations, their every step recorded by the omnipresent cameras and the ship’s sophisticated network of display screens. Without contriving any sort of overt threat, the film conveys the terror of deep space as a still, silent void, indifferent to human suffering or survival, and Cordero’s direction maintains an eerie calm even as the astronauts slowly begin to grasp the likely outcome of their mission; they may take risks and make sacrifices on each other’s behalf, but always in cool, levelheaded fashion. While none of the characters are especially individuated, the actors make them as authentic and relatable as they need to be. South African thesp Copley, so memorable as the lead in “District 9,” touches the film’s most poignant notes as a particularly homesick member of the crew, while Romanian actress Marinca, best known for “4 Months, 3 Weeks and 2 Days,” again reveals her ability to command the camera through her silent, watchful presence alone. 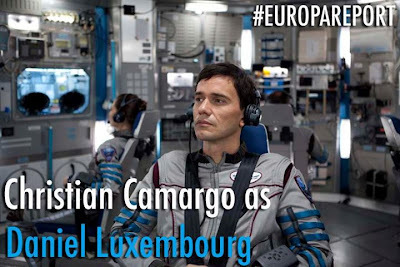 The unfussy internationalism of the cast — which also includes Christian Camargo, Swedish thesp Michael Nyqvist and Polish-American actress Karolina Wydra — represents a slyly hopeful wink at what the future of space travel may hold. Indeed, there isn’t a whiff of satire to “Europa Report,” whose upbeat vision of global cooperation and sincere belief in the life-changing possibilities of space exploration at times skirt the boundaries of naivete. Still, unapologetically pro-science films are sufficiently rare as to make this one’s earnestness seem all the more refreshing. This science-minded approach extends to the film’s formal rigor and extraordinary level of detail, courtesy of production designer Eugenio Caballero (who won an art-direction Oscar for “Pan’s Labyrinth”), whose sterile-yet-functional conception of the ship’s interiors has been brilliantly integrated with the f/x work supervised by John Bair; the occasional roughness of the visuals, such as the slightly pixelated images captured on Europa’s surface, feels consistent with the built-in technical limitations of the premise. The editors carve a clear enough path through d.p. Enrique Chediak’s extensive camera coverage, at times using quick cuts and split screens to playful effect, and Bear McCreary’s fine string-based score is aptly underplayed before coming resoundingly to the fore during the closing credits. Reviewed at Wilshire screening room, Beverly Hills, June 10, 2013. (In Los Angeles Film Festival — Summer Showcase.) Running time: 89 MIN. A Magnet Releasing release of a Wayfare Entertainment, Misher Films presentation of a Misher Films, Wayfare Entertainment production. Produced by Ben Browning. Executive producers, Michael Maher, Jeremy Kipp Walker. Co-producer, Andy Berman. Directed by Sebastian Cordero. Screenplay, Philip Gelatt. Camera (Technicolor, HD), Enrique Chediak; editors, Aaron Yanes, Alexander Kopit, Craig McKay, Livio Sanchez; music, Bear McCreary; music supervisor, Jim Black; production designer, Eugenio Caballero; supervising art director, Anu Schwartz; art director, Michael Ahern; set decorator, Danielle Webb; costume designer, Anna Terrazas; sound (Dolby Digital), Chris Gebert; sound designer, Rich Bologna; re-recording mixer, Tom Efinger; special effects coordinator, Drew Jiritano; visual effects supervisor, John Bair; visual effects producer, Renuka Ballal; visual effects, Phosphene, Method Studios, Look Effects, Perception, Quadratic Digital; stunt coordinator, Brian Smyj; associate producer, Matt Levin; assistant director, Atilla Salih Yucer; casting, Avy Kaufman, Leeba Zakharov. Christian Camargo, Embeth Davidtz, Anamaria Marinca, Michael Nyqvist, Daniel Wu, Karolina Wydra, Sharlto Copley, Dan Fogler, Isiah Whitlock Jr.